Facebook has changed. Many think not for the better. But Facebook obviously thinks differently. And we all better get used to it. Welcome to spring 2014, where we can now write the eulogy of Facebook’s “free lunch” era. What do I mean by that? Well, we’ve all heard the saying “there’s no such thing as a free lunch.” Yet for Facebook’s existence up until now, “free lunch” actually was aplenty for all. That’s because organic page reach was high. There was a relatively low barrier to entry. Overnight, any Facebook page could become the next big hit. Any page probably had some pretty good engagement numbers on any average post. From October 2013 to February 2014, Facebook organic page reach dropped from 12% to 6%. It will continue to drop and dramatically so. Over time, this number will get closer and closer to zero. That’s reality. It’s Facebook’s prerogative to monetize its product. This was undoubtedly inevitable. We can’t be sad about it. Instead, we – as managers of small-scale Facebook pages – must be proactive. There are action steps we all can take to make our pages more efficient and encourage as much engagement as possible, at low costs. Just like the olden days. 1. 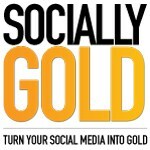 Engage with your posts with your personal account. This is an absolute no-brainer. Facebook’s computing algorithm views favorably posts that already have engagement. This is how certain items go viral. By just regularly sharing, liking and commenting on your own page’s posts with your own account, you’re getting an easy bonus point (or two or three). Do this often. 2. Ask other people to also engage with your page’s posts. Same reasons apply! You should plant occasional seeds with friends, colleagues, board members and more to have them also engage with their shares, likes and comments. These are such easy, easy tasks. You should never have an important Facebook post end up with little-to-zero engagement. That’s your own fault for not engaging yourself and directly asking others to do so as well. 3. Use photos as often as possible. Photos are vitally important on all social media entities in 2014. 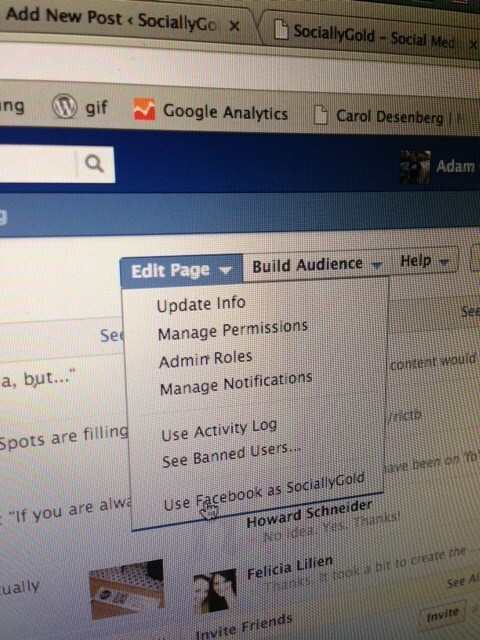 Facebook made changes not too long ago that hurt “text-only” posts, an under-appreciated wild card of the olden days. Nowadays, never do that. Every post should have a graphic of some kind. Don’t have one that relates? Use an organizational one! Anything counts. 4. Scratch that: Use good photos as often as possible. Well, more specifically, you should strive to only use good photos. What do I mean by that? Use high-resolution photos with real-life smiling people. These individuals should be as excited as you are to share the word about your organization. Check with them first to make sure they like the photo. Make sure the lighting is good, the background is not too boring and as always, have fun! 5. No ugly links. I see this way, way, way too often. That’s unacceptable in 2014. This item should definitely have been on my social media pet peeves list. I’m not sure how it didn’t make the cut. On Facebook nowadays, links load up with thumbnails and website previews. That means you can then delete the text of the link. Always do that. If the link still looks funny or ugly, use a link shortener, such as bit.ly. That should be a regular option too when using photos (!). 6. Keep it simple. Don’t try to do too much at once. As I urged in my last Socially Gold guest post: The No. 1 rule is to be consistent. If the contents of a potential post seem too crowded, split it into multiple posts. When you just have 10-15 minutes of down time, schedule a few posts for the week. Make it easy on yourself. Be direct, clear and concise with any possible calls to action. As with all social media entities, a Facebook page can’t simply portray a boring and robotic view of your organization. Best practices would encourage page managers to be witty, show personality and display creativity. There are ways to do that, while also not limiting your audience or being too overly political. There always is a fine balance to play as the manager of an organization’s external image on Facebook. One can never understate the importance of risk management and this especially relates to social media in 2014. Any post can still go viral; and that’s not necessarily a good thing if you’re not careful. Now that Facebook has been so heavily saturated with more users and more pages, page managers should temper their expectations. Just by creating a Facebook page and posting some bland status, you won’t immediately be inundated with new sales, new customers or any added visibility. Facebook ads – the ultimate antidote to declining organic page reach – might not be realistic for your organization. You might not have a large enough advertising budget (or one at all). These ads also might not be that good of a value for you. Every situation is different. But for now, you should at least start by controlling what you can to make your Facebook page’s presence as efficient as possible. That’s all you can directly affect. And there still are plenty of ways to do what you can to grow your page. The tips above are a great place to start. Jacob Rosen is the Development Associate for Hillel at Kent State University. He can be found on Twitter in two locations: @WFNYJacob, where he tweets about Cleveland sports and sports analytics; and @udjrosen, where he tweets about Northeast Ohio, the media industry and other whimsical things. Jacob is a contributor at WaitingForNextYear.com and SportsAnalyticsBlog.com. He has professional media relations experience in Minor League Baseball. He also was the editor-in-chief of his college’s newspaper and has been an active social media user (and critic) for years and years.